… so I woke up and prepped a pot roast. As you do when unemployed, right? 14 Oct	This entry was published on 14/10/2010 at 11:13 AM. It’s filed under cooking, food, life, London and tagged bored, cooking, food, funemployed, photo. Bookmark the permalink. Follow any comments here with the RSS feed for this post. Thanks, Linds! Pot roast just made sense today. Haha! I would probably just sleep in – but you are way more productive then I am, sooooo…What are you cooking/baking/whipping up today? 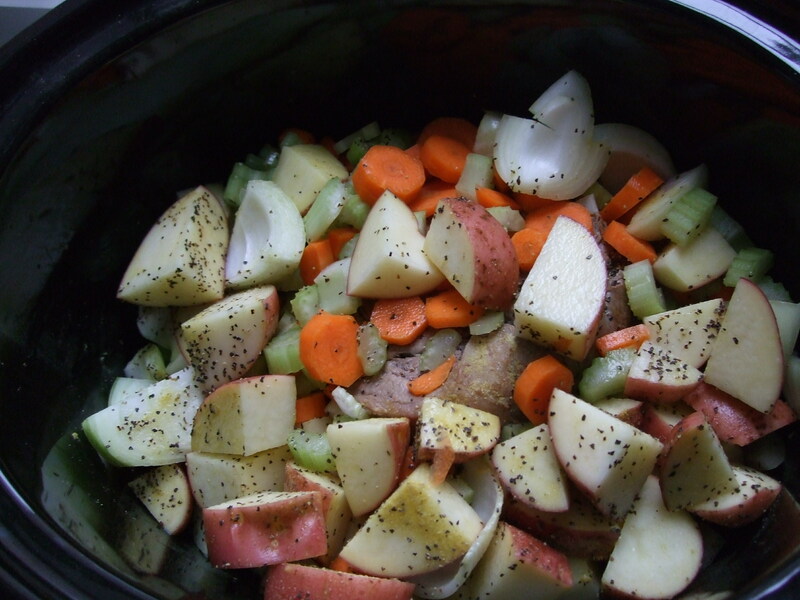 Is that a roast in a crockpot? I’m going to have to try that! Yes! Much desired on these brisk autumn days.